... From 1957 to 1964, Nouwen immersed himself in psychology. Over the years, he began to develop links between theology and what he was studying. He was influenced by the famous psychologist of religion, Hans Fortman. Fortman was one of the first academic psychologists brave enough to publish papers which were interdisciplinary in that they sought to show links between psychology and religion. Nouwen also, because of the influence of Fortman, became interested in the relationship between action and contemplation (Beumer 1997: 24). Even in his vacations, Nouwen moved beyond the expected norms. He worked at the mines in south Limburg on one occasion, at Unilever in Rotterdam on another occasion and even served as a chaplain in the army. Nouwen found his love for travel on yet another vacation job, while he was serving as chaplain on the Holland-America shipping line (Durback 1989: xii). and that will still be there after all rejections have taken place." Out of Solitude by Henri Nouwen. To live a Christian life is to live in the world without being of it. It is in solitude that this inner freedom can grow. Jesus went to a lonely place to pray, that is, to grow in the awareness that all the power he had was given to him; that all the words he spoke came from his Father; and that all the works he did were not really his but the works of the One who had sent him. In the lonely place Jesus was made free to fail. In solitude we can listen to the voice of him who spoke to us before we could speak a word, who healed us before we could make any gesture to help, who set us free long before we could free others, and who loved us long before we could give love to anyone.... In solitude we discover that life is not a possession to be defended, but a gift to be shared. When you are able to create a lonely place in the middle of your actions and concerns, your successes and failures can slowly lose some of their power over you. For then your love for this world can merge with a compassionate understanding of its illusions. Then your serious engagement can merge with an unmasking smile. Then your concern for others can be more motivated by their needs than your own. In short: then you can care. Let us therefore live our lives to the fullest but let us not forget to once in a while get up long before dawn to leave the house and go to a lonely place. When we start being to impressed by the results of our work, we slowly come to the erroneous conviction that life is one large scoreboard where someone is listing the points to measure our worth. And before we are fully aware of it, we have sold our soul to the many grade-givers. That means that we are not only in the world, but also of the world. Then we become what the world makes us. We are intelligent because someone gives us a high grade. We are helpful because someone says thanks. We are likable because someone likes us. And we are important because someone thinks we are indispensable. In short, we are worthwhile because we have successes. And the more we allow our accomplishments - the results of our actions - to become the criteria of our self-esteem, the more we are going to walk on our mental and spiritual toes, never sure if we will be able to live up to the expectations which we created by our last successes. For a Christian, Jesus is the man in whom it has indeed become manifest that revolution and conversion cannot be separated in man's search for experiential transcendence. His appearance in our midst has made it undeniably clear that changing the human heart and changing human society are not separate tasks, but are as interconnected as the two beams of the cross. 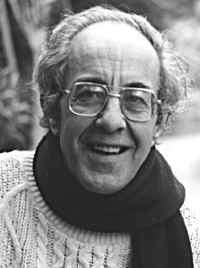 Henri Nouwen is worldwide the most popular writer on Christian spirituality. Not only because the books are nice to read , but also because his spirituality is so close to life. He started an academic career, but soon he discovered that an abstract theology is so far away from a vivid faith. With his death, at September 21 1996, the Christian world lost one of his monuments. About ten years ago, we first got to know the writings of Nouwen. A Dutch priest had given me "Letters to Mark". In the beginning I was rather skeptical, because there are many books on spirituality and faith, but very often they are far away from life and the language is hard to understand. Nouwen's books are different. His books are authentic, close to life and he doesn't avoid the difficult questions. Usual they reflect a deep and true faith full of reflections on prayer and silence, joy and gratitude, doubt and faith, ... Nouwen had gone a long way before he got the recognition that he deserved - but never wanted. Henri Nouwen was born in The Netherlands. After his studies for priest ( he was ordained in 1957), he studied psychology at Nijmegen. Later on he got a specialization in religion, psychology and psychiatry at Kansas. Between 1966 and 1968 he was teaching at the Pastoral Institute of Amsterdam and the Theological Institute at Utrecht. In between 1970-1971 he studied theology at Nijmegen, and earned a doctorate. In 1972 he started the American period. He became professor of pastoral theology at the Divinity School of Yale University. The period was successful, but he felt that he missed something. Teaching theology doesn't guarantee a religious life. Later on he wrote: ' The more I reflected, the more I realized the meaning of Jesus' words "The first will be the last and the last will be the first" I started to be afraid that belonging to those who have a successful career, would take away what I desired most: to be loved'. He continued his work at the University, this time at Harvard. But the struggle continued. The change comes after a meeting with Jean Vanier, the foundor of L'Arche . Later on he writes about Vanier: " ... one of the most vivid and most inspired people I ever met". In 1984 he stayed for 9 months at the L'Arche-community of Trosly, in France. The L'Arche-movement has communities worldwide. Mentally handicapped people live together with their assistants. In 1985 , he left the academic world. From 1986 till his death, in 1996, he was priest at the L'Arche-community of Richmond Hill, a suburb a half-hour north of Toronto, Canada. He shared his life with mentally handicapped people. The beginning was hard, at the Daybreak Community. On the one hand the pastorate with mentally handicapped people was new, on the other hand he got to get used to the life in the community. Jurjen Beumer wrote on this period, in his recently published biography: " During this period , he developed his narrative spirituality in which the big words of the Christian tradition were represented in narrative". The pastoral activity with the handicapped got priority and writing could only happen during the free moments. It was hard to find a good balance between both. The fact that he was known worldwide and had to give lectures, seminars, ... made things more complicated. Harry Palmer, a Canadian photographer, has photographed all recipients of the Companion of the Order of Canada, the country's highest honour. Of Jean Vanier, he wrote, "Jean Vanier, who asked to be photographed with the residents of L'Arche, has given us an image of collective achievement; his personal legacy is one of humility and grace." Calvin Burge gave up on love many decades ago. Well, he almost did, after growing up in a family in which his mother died giving childbirth and "my dad couldn't take care of us." By the time he was an adult, Burge felt great pangs of loneliness. He read books about love to try to figure out what it meant. "Being loved and accepting love has been a major problem in my life," he says. A turning point for Burge came in the late 1980s while he was teaching at Michigan's Spring Arbor College, which selected Henri Nouwen's book, The Wounded Healer, as its book of the year. Burge read it and felt personally attracted to the writer. Now retired, Burge has since read most of Nouwen's books and in his own small way has helped Nouwen become one of the most popular spiritual writers of the late 20th century. Nouwen, born and ordained a priest in the Netherlands and trained as a psychologist in Kansas, wrote more than 40 books. He taught at Notre Dame, Harvard, and Yale universities and spent the last 10 years of his life at L'Arche Daybreak, a community in the Toronto suburbs where disabled and able-bodied people live together. He died suddenly of a heart attack in 1996 at the age of 64. Nouwen has remained a bestselling author even after his death. In North America alone, more than 1 million copies of his books have been sold since 1996, and he has also remained highly popular in Europe. Nouwen's friend and biographer, Robert Jonas, says the power of Nouwen's writing blossomed partially from the fact that he "courageously stood with one foot in the shadow of self-rejection and one foot in the daylight of God's love." On the one hand, Nouwen was intensely generous and compassionate. Almost daily he would pray with others and send notes of encouragement, flowers, or other gifts, including signed books, to people throughout the world. And he would travel to give speeches and provide comfort to friends in need, sometimes at a moment's notice. But Nouwen suffered deeply. He admitted he usually did not feel the affection from others that he deeply craved—suffering from what Jonas calls Nouwen's "habitual, almost neurotic need to be needed." Accepting that he was loved remained a lifelong struggle. Nouwen spent some time in a treatment center, suffering from deep depression and wallowing in the depths of despair over a broken relationship. He felt such anguish that he wrote on many occasions about how desperately draining it can be to feel broken. Nouwen's readers identify with those struggles—one reason he is so popular. "He can share his own fragility with people, and I can identify with that," says Barb Fuhrwerk of Springfield, Illinois. She was taught at a young age to focus on her strengths and offer to God her talents. Now she finds herself, like Nouwen, relating to God primarily through her brokenness. She gave a friend going through some struggles Nouwen's book Letters to Marc About Jesus. Nouwen's letters became a lifesaver to him and the perfect method for reflecting on his own struggles, Fuhrwerk says. Nouwen's spirituality also resonates with so many because he had a knack for avoiding theological and psychological babble and explaining the spiritual life with powerful stories in simple language. "The hardest thing for us is to love well the people we really love, the people closest to us," says Tannis Arnett of Toronto. I never met Henri Nouwen, but we had a 10-year friendship by correspondence. It began when I was editor of a diocesan Catholic newspaper in the 1980s. On a whim one week, I published an "Open letter to Henri Nouwen" in which I reflected on my own life in light of his candid writings. I identified not only with his struggles with the spiritual life but also with his hope. I sent him a clipping, and he surprised me with a handwritten, grateful reply that ended, "Stay in touch." And I started publishing an open letter to him every year. Each year he would respond. As the open letters continued for six years, our correspondence became more frequent. Only after his death in 1996 did I find out that Henri corresponded with many people and set aside a part of most days to correspond. He also sent Rembrandt prints of The Return of the Prodigal Son or flowers, and he wrote forewords for many books. He had trouble saying no. A friend of mine received a Rembrandt print and chuckled that Henri must have wrapped it himself. She could tell by the crumpled, uneven wrapping job and the way it was taped. Alas, Henri was legendary for being a bit clumsy. But more important, he was generous almost beyond description, especially with his time. Many people benefited from his generosity, and many who never met him often felt surprised and uplifted that such a famous man would take time for them personally.—E.W. Reading The Return of the Prodigal Son, which Nouwen considered his best book, had a major impact on Arnett. Nouwen zeroes in on every character in the biblical parable: the younger son who goes away and comes back, the elder son who becomes so resentful and jealous, and the father who throws a huge party when the prodigal son returns. Nouwen eventually focuses on the father and concludes that he and other Christians face the ultimate challenge in responding to others with the great compassion the father demonstrated. Nonetheless, Nouwen writes, "It does not surprise me at all that few claim fatherhood for themselves. The pains are too obvious, the joys too hidden. And still, by not claiming it, I shirk my responsibility as a spiritually adult person." Until she read Nouwen's book, Arnett says she had always focused on the younger son. "The further development for me is learning to be the father," she says. "The ultimate role is to be that loving and forgiving person so that others can live to the fullest. If you want to be loved, then love. If you want to be forgiven, then forgive." Wendy Greer of New York, who, like Nouwen, suffered from depression, says she had read some of his work and eventually wrote him a 15-page letter. He responded by sending her a copy of The Return of the Prodigal Son. "I felt so special and thought, 'What kind of person is this?' " Greer says. She then attended a conference in North Carolina at which Nouwen spoke and became, along with her husband, Jay, great friends of the author. Greer draws the same conclusion that Arnett does about how difficult it is to live as the "father" in the prodigal son story. "We have to forgive each other for not loving perfectly," she says. "Only God loves perfectly." But Arnett, Greer, and other Nouwen admirers struggle with a concept that became central to Nouwen as he developed a framework for the spiritual life. That concept, repeated often by Nouwen in his later years, is that people must accept that they are loved—and worthy of love—by God and others. Nouwen talked and wrote frequently about "the life of the beloved." He started with the premise that most people feel wounded, hurt, or broken in some way. Even worse, many secretly feel they are not good enough, smart enough, productive enough, or successful enough—and they believe it when others express such lies about them. Nouwen emphasized the fundamental truth that people are both loved and lovable. He calls this being "chosen" to be loved. "The truth," he wrote in The Life of the Beloved, "even though I cannot feel it right now, is that I am the chosen child of God, precious in God's eyes, called the Beloved from all eternity and held safe in an everlasting embrace . . . We must dare to opt consciously for our chosenness and not allow our emotions, feelings, or passions to seduce us into self-rejection." Deirdre LaNoue, an assistant professor at Dallas Baptist University who studied Nouwen's work for a dissertation, says the way Nouwen emphasized being the beloved had a "lightbulb effect on me." Nouwen lamented that society teaches people that they have value because of what they do, how much power they have, or what other people think of them. For LaNoue, Nouwen articulated well what Jesus says—that she is God's beloved daughter, God's chosen person, and that is enough. Working to internalize that concept is liberating because it dissipates competition and comparisons with others. But it is also difficult. Perhaps the great irony that makes Nouwen's work resonate around the world is that although this concept of belovedness is so basic, it's not easy for most people to truly accept. As LaNoue puts it, "Do I really believe that God loves me, and do I trust that love? "I am realizing that I may cognitively assent to that, but do I live like that? And I've found the answer to be no. So I have to think through it and pray about it. To live that way consistently is one of the basic challenges of the Christian life." Similarly, Burge says that in his head he is capable of believing he is God's beloved child, "but I have a long way to go to get it in my heart." Arnett says the concept of being beloved goes hand in hand with the issue of suffering. "We are called to be in a place where we feel beloved," she says. "There are so many times when I forget it, I don't really believe it. But when I do, when we feel that, we really know God's heart." Last year, she says, she was able to mend relationships with family members, including a twin sister, by approaching them from a spirit of belovedness. That allowed her to listen more compassionately, react less quickly, and see the suffering in others rather than dwell on her own disappointment. In short, LaNoue concludes, feeling beloved is liberating. "You lose your need to compete. If you can believe your own belovedness, you believe that about others." Nouwen had some practical advice for those struggling with feeling beloved. He advised them to keep looking for people and places where they feel chosen and beloved, instead of worrying about feeling valued for what they can do, what they have, or what others say about them. But he had trouble following his own advice and wrote honestly about his struggles—it is this complexity and struggle that causes millions of people to feel as if they are on a spiritual journey with Nouwen. The Return of the Prodigal Son (Doubleday, 1992). Powerful reflections on the characters in Rembrandt's painting of the same title—what it means to live as the younger son, the older resentful son, and the father. Nouwen thought this was his best and most important book. The Life of the Beloved (Crossroad, 1993). In some ways the culmination of Nouwen's writing, this book emphasizes in new ways the power and liberation individuals feel when they accept that they are "beloved" by God. The Wounded Healer (Doubleday, 1972). An explanation of how people bring hope to others through their own pain and suffering. A book widely read and well known by ministers, Protestant and Catholic alike. The Only Necessary Thing: Living a Prayerful Life (Crossroad, 1999). An interesting compilation of Nouwen's reflections on the power of prayer, along with a selection of his own written prayers, some of them never published before. With Open Hands (Ave Maria Press, 1972, revised 1994). An early look at how powerfully Nouwen felt early on about the important concepts of solitude, prayer, and compassion. For an insightful, concise biography of Nouwen and his spirituality, along with well-organized selected passages from his books, see a book called Henri Nouwen: Writings Selected with an Introduction by Robert A. Jonas (Orbis, 1998).—E.W. It is not difficult to summarize Nouwen's overall approach to spirituality, according to Robert Jonas. This spirituality consists of three movements as described in the gospel story in Luke 6:12-19. The newly formed Henri Nouwen Society summarizes these movements as solitude, community, and compassion. Solitude. In the gospel story, Jesus spent a night in prayer. Nouwen taught that in one's solitude and prayer, a person discovers that he or she is loved by God. LaNoue's Southern Baptist tradition did not emphasize silence and solitude, but Nouwen's statement that we live in a wordy, noisy world has changed her prayer life. Her behavior is changing as well. Although she loves music, she now tries to keep the stereo off as she's driving around Dallas. "The music disturbs the quiet," she says, adding, "It is new territory to practice the discipline of silence." Community. Jesus came down from the mountain and formed a community around him. And so for Nouwen, being a Christian meant sharing hearts and finding others who believe in God's truth. Nouwen once commented that people do not have to create community but simply be obedient to its presence that is already there for those who search for it. Greer, president of the Henri Nouwen Society, says Nouwen has left a rich legacy to be shared. So a major function of the society will be to bring people together to pray, reflect, discuss, and share. Greer says Nouwen formed community wherever he went and preached the paramount importance of hospitality. "He gathered people and challenged us to proclaim the truth of our belovedness," Greer relates. Compassion (or ministry). In the third movement in Luke's gospel, the community went into the marketplace and served other people. For Nouwen, being Christian meant doing ministry by showing compassion to others. While best known for his spiritual writings, Nouwen also preached social justice and downward mobility. He found it important to identify with the poor. That is one reason why, after teaching for years at universities, he found a home at L'Arche Daybreak, the community for disabled people in the Toronto suburbs. The Rev. Steve Berry of the First Congregational Church of Los Angeles says Nouwen built an extraordinary bridge—many bridges, in fact—that connect Christians of many traditions. "No longer can it be Protestant and Catholic," Berry says. "Christ calls all people to himself. I wouldn't have gotten that from most Protestant or Catholic churches, but I got it from Nouwen." "Most of his inner attention went to this question of belovedness and feeling loved," Jonas says. He knew that Nouwen could feel exhilarated speaking to a crowd of a thousand people, only to return to his room feeling empty, drained, self-attacking, and longing for affection. "He was complicated," Jonas says. Nouwen wrote with articulate simplicity and care about the spiritual life, yet he never felt completely rooted in God's love. Jonas explains: "He'd glimpse it but get uprooted." Just like his friends. Just like his admirers. Just like his readers who continue to buy and discuss his books, simultaneously struggling and chuckling that one's personal spirituality involves a lifelong journey on which you never get to the place you think you ought to be. Ed Wojcicki is publisher of Illinois Issues in Springfield, Illinois. He is a member of the Henri Nouwen Society board and a contributor to Nouwen Then: Personal Reflections on Henri (Zondervan, 1999). For more information: The Henri Nouwen Literary Centre in Canada offers information about Nouwen, his books, and his life. Also, friends of Nouwen launched the Henri Nouwen Society in 1998 to share his spirituality and preserve his legacy. Write: Henri Nouwen Society, Box 230523, Ansonia Station, New York, NY 10023. "Many people have become disillusioned with the Church because of (her focus on the morality of human behaviour)... but when the moral life gets all the attention, we are in danger of forgetting the primacy of the mystical life, which is the life of the heart." So wrote the late Henri Nouwen in his autobiography 'The Road to Daybreak'. Nouwen (pronounced Now-an) must be one of the most widely read contemporary spiritual authors from the Western Catholic tradition with up to 40 publications over his 64 years. He died in 1996. Somehow his evangelical fervour, which burns from the heart of the Church, has a capacity to ignite a Christian readership stretching from Baptists to Eastern Orthodox. This fervour is intent upon challenging the moralistic tendencies of the Churches, with a call back to grace as the dynamic of the Christian Faith and the mystical life. In his autobiography he tells the tale of a spiritual journey from a privileged position as a professor at Harvard Divinity School to live among people with developmental disabilities at the L'Arche Daybreak Community in Canada. This is a movement he describes, in reference to his reluctance, as "going downward mobile" with God, to use a memorable phrase from the book. "People seek glory by moving upward. God reveals his glory by moving downward. If we truly want to see the glory of God, we must move downward with Jesus. This is the deepest reason for living in solidarity with poor, oppressed and handicapped people. They are the ones through whom God's glory can manifest itself to us. They show us the way to God, the way to salvation." Yet "everything in me wants to move upward. Downward mobility with Jesus goes radically against my inclinations, against the advice of the world surrounding me." Nouwen in the end decides "the issue is not where you are, but how you live where you are... that means a constant choosing of what is important and a willingness to accept that the urgent things can wait or be left undone... You have to decide to whom you want to be obedient." "There is an intimate connection between the presence of Jesus in the Eucharist and the presence of Jesus in the deprived person. The deprived person sends us back to Jesus in the Eucharist. To receive the Body of Jesus is to have his eyes and his heart to see him in the poor." "The greatest mystery of the Christian faith is that God came to us in the body, suffered with us in the body, rose in the body, and gave us his body as food. No religion takes the body as seriously as the Christian religion... My body is much more than a mortal instrument of pleasure and pain. It is a home where God wants to manifest the fullness of the divine glory.... The abuse of the body - whether it be psychological (eg. instilling fear), physical (eg. torture), economic (eg. exploitation), or sexual (eg. hedonistic pleasure seeking) - is a distortion of true human destiny: to live in the body eternally with God. The loving care given to our bodies and the bodies of others is therefore a truly spiritual act, since it leads the body closer toward its glorious existence." "The most important criterion is prayer. As long as I pray daily, intimately and long, I stay in the right place and continue to walk on the road to faithfulness. But when I let my prayer go because of fatigue, distraction, or laziness, I know that I will soon be on the other side of the fence. The second criterion is a deep, confessing friendship. I now realise that I need regular contact with a friend who keeps me close to Jesus and continues to call me to faithfulness." "To adore is to be drawn away from my own preoccupations into the presence of Jesus. It means letting go of what I want, desire, and have planned and fully trusting Jesus and his love." "I now understand much better why Jesus sent his disciples into the world in groups of two rather than alone. Together they could maintain the spirit of peace and love they found in his company and could share these gifts with everyone they met." Prayer and friendship are therefore seen not just as the receipe for the growth of the Church but for the growth of every Christian. "Every real revolutionary is challenged to be a mystic at heart, and one who walks the mystical way is called to unmask the illusory quality of human society. Mysticism and revolution are two aspects of the same attempt to bring about radical change. No mystics can prevent themselves from becoming social critics, since in self-reflection they will discover the roots of a sick society. Similarly, no revolutionaries can avoid facing their own human condition, since in the midst of their struggle for a new world they will find that they are also fighting their own reactionary fears and false ambitions. Mystics and revolutionaries must cut loose from their selfish needs for a safe and protected existence and face without fear their own miserable condition and that of the world around them. The appearance of Jesus in our midst has made it undeniably clear that changing the human heart and changing human society are not separate tasks, but are as interconnected as the two beams of the cross."